We looked at the top 10 Electric Kettles and dug through the reviews from 43 of the most popular review sites including Best Reviews Guide, HQ Review, BestReviews, The Architect's Guide, New York Times Wirecutter, Consumer Search and more. The result is a ranking of the best Electric Kettles. Our experts reviewed the top 10 Electric Kettles and also dug through the reviews from 43 of the most popular review sites including Best Reviews Guide, HQ Review, BestReviews, The Architect's Guide, New York Times Wirecutter, Consumer Search and more. The result is a ranking of the best of the best Electric Kettles. When it's time to get your water started, the Cuisinart PerfecTemp Electric Kettle has controls available on the handle, making it easy to set your temperature and go. A wide neck makes it easy to clean once finished. Its 1.7-liter capacity gives you enough water for seven to eight cups. The model's 1500-watt heating element gets your water to the desired temperature as quickly as possible. DWYM Kitchen Experts plus BestReviews, New York Times Wirecutter, ratingle, Best Electric Kettles, Electric Cordless Water Kettle, The Grand Kitchen. Along with user reviews from Amazon and Best Buy.
" his kettle has excellent ergonomics, and all the important functions are easy to reach. The lid has a wide opening, and the spout neither drips nor spits. Construction quality gets a thumbs up, too; many have owned their Cuisinart kettle..."
"we found it wasn’t as accurate at hitting lower temperatures, measuring 8 degrees over when we set it to 160 °F." With a 1.7-liter capacity, the Aicok Variable Temperature Electric Kettle will provide seven to eight cups of your favorite beverage. The warming feature ensures any unused water will still be hot when you're ready for your next cup. A 1500-watt heating element ensures quick, heated water, whether you're pouring it over coffee grounds, tea bags or cocoa. DWYM Kitchen Experts plus BestReviews, The Gadgeteer, All Top 10 Best, Best Reviews Guide, Best Electric Kettle. Along with user reviews from Amazon.
" Features an attractive, straightforward design with impressive features. 8-cup capacity, quick heating ability, and multiple temperature controls." "Controls could be more intuitive. If you think that this setup sounds a little confusing, you’re right." Unlike other kettles, the Bonavita Variable Temperature Gooseneck Kettle builds its controls into the base. This frees up the handle for holding while you pour. With a 1-liter capacity, this option's best for those who only drink a couple of cups at a time. An automatic shut-off feature will keep your home safe if you forget to turn off the power. DWYM Kitchen Experts plus New York Times Wirecutter, The Coffee Concierge, ratingle, Electric Cordless Water Kettle, Egeeky and 1 more. Along with user reviews from Amazon.
" Of all the models we tested, the Bonavita BV382510V had the most precise temperature control, impressively measuring just 1 degree off regardless of the temperature setting. It gives you the freedom to set it in 1-degree increments from 140 °F..."
"1 liter capacity may not be enough for more than a few cups of coffee. Unit shuts off when (i.e. doesn't hold temperature) when kettle is removed from the base"
Hamilton Beach is a popular name in home appliances, and this electric kettle is a perfect illustration of why. This stainless steel model, made for easy cleanup, includes water level displays on either side to help left-handed users. You'll also get 1.7 liters of water in one kettle, providing up to eight cups of your favorite warm beverage. DWYM Kitchen Experts plus BestReviews, New York Times Wirecutter, Best Reviews Guide, Consumer Search, Egeeky, The Grand Kitchen and 3 more. Along with user reviews from Amazon, Best Buy and Walmart.
" Surprisingly affordable considering all it has to offer - 1500 watts of power,cordless base that rotates and sleek stainless steel design to name a few." "This kettle lacks the bells and whistles of our other picks—it doesn’t have preset temperature controls, or a keep-warm setting"
We identified the majority of the electric kettles available to purchase. 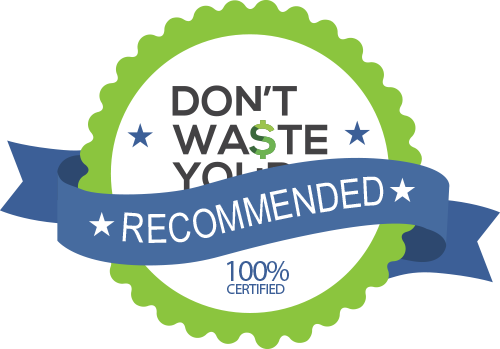 Reviews from our DWYM category experts and analysis of some of the most respected sources including: Best Reviews Guide, HQ Review, BestReviews, The Architect's Guide, New York Times Wirecutter. We also incorporate user reviews from the leading retailers including Amazon, Best Buy, Home Depot, Walmart, Bed Bath & Beyond. The wide handle is comfortable to hold, and the spout doesn’t cause water to dribble when pouring. The kettle isn’t truly cordless in that it has a cord and uses electricity, but the cord is located in the base, which separates from the kettle body. When you serve, the kettle is cordless and easy to carry. It has lots of special features which include an auto shut-off, a water level indicator, sleep mode, preset temperature settings and a stay warm feature. It has automatic shut off and boil dry function to prevent any overheating or fire hazzard. Good looking stainless-steel kettle. Powerful 1500W heating element heats water fast. Hold warm feature is both practical and convenient. This kettle is very easy to use. we found it wasn’t as accurate at hitting lower temperatures, measuring 8 degrees over when we set it to 160 °F. Little bit expensive for which occasional users may not want to spend the money. Several users report the writing on the buttons wearing off over time. Surprisingly affordable considering all it has to offer - 1500 watts of power,cordless base that rotates and sleek stainless steel design to name a few. This Hamilton Beach model is very simple to operate: You flick the tab up on the base of the handle, and the kettle begins heating the water. Two water level windows are a handy feature making this model convenient both for left handers and for right handers. It's the second-cheapest pick but performs like a much more expensive kettle, so it earns our value pick. The stainless steel construction is a nice perk, and durability is reported as very good. For $30 or less, you get an electric kettle that heats up to seven cups of water quickly and then automatically shuts itself off once the water starts to boil. Thankfully, this kettle comes with all of the standard safety features that ensure that you can operate it worry-free. First, the whole thing shuts off once it’s reached temperature, meaning that it won’t boil over. The auto shutoff function on this kettle will keep it from dry boiling, so you don’t have to worry about that. It also features a stay-cool handle and a drip-free spout, which makes pouring very easy. There's no alert to let you know it's done, though. Water level meter behind the handle. Opening the lid causes water to splash. Hot water can leak through the seams. Very noisy. Although Americans still drink more coffee than tea, hot tea holds its own, especially as more consumers learn the health benefits of certain types of the warm beverage. An electric kettle is a great way to heat up water quickly, whether you’re using it to make tea or hot cocoa. If you’re feeling ambitious, you can even use an electric kettle to make pour-over coffee, eliminating the need for a coffeepot. Electric kettles take stovetop water heating to the next level. Many now have advanced features like temperature control, automatic shutoff and keep-warm. You won’t pay much more for a decent electric kettle than you would for a nice stovetop one. Best of all, they’re safer than boiling in a pan while being faster and more efficient than the microwave at getting water to the necessary temperature. But not all electric kettles are equal when it comes to safety. It’s important to pay close attention to whether a kettle has a tendency to leak when you’re pouring, which could lead to burns. Some kettles also come with auto shut-off features so if you accidentally leave it on the warmer, you won’t have to worry about your house burning down while you’re at work. One issue you’re probably familiar with is “boiling dry,” which is what happens when you set a pot on the stove to boil and forget about it until all the water is gone. Auto shut-off on some kettles is designed to protect against that issue, which is another way it keeps you safe. 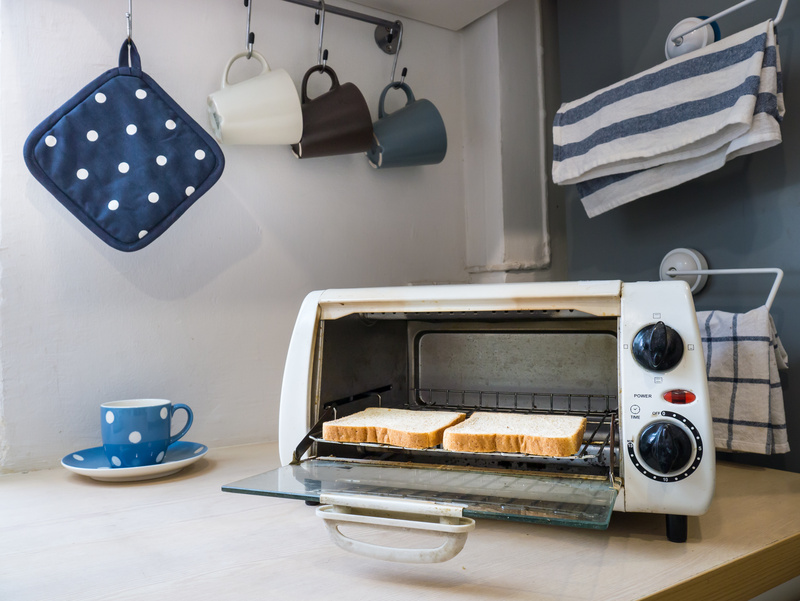 Ease of use is perhaps the most important factor in choosing a kettle, though. You’ll want temperature controls that you can access easily, as well as a design that makes it comfortable to hold even if you have it full of hot water. Some electric kettles have attached lids, and if so, make sure the kettle you choose has a lid that stays open and closed at the appropriate times. There’s a reason hot tea has become popular among health-conscious consumers. The beverage is full of antioxidants, which has a variety of possible benefits, including reduced risk of infections and some types of cancer. Unlike other health boosters, antioxidants aren’t as effective as supplements, so tea is a great way to work it in through your everyday diet. You don’t have to stick with green tea for good health, either. Red, black and white tea all have flavonoids, which have been linked to a decrease in risk for heart diseases and stroke. They also have polyphenols, which are thought to help with Type 2 diabetes. Now that kettles have gone electric, they need a power cord, but you have to be able to move around with your kettle. Manufacturers get around this through a two-part design that involves a corded base and a kettle that separates once your water has reached the design temperature. The Cuisinart PerfecTemp Electric Kettle, the Aicok Variable Temperature Electric Kettle, the Bonavita Variable Temperature Gooseneck and the Hamilton Beach Electric Kettle all feature corded bases that stay in place as you lift the kettle off to pour the liquid. Each electric kettle has controls that allow you to adjust the temperature and put the unit in warming status. However, some locations are more convenient to access than others. The Cuisinart PerfecTemp Electric Kettle and Aicok Variable Temperature Electric Kettle build their controls into the handle for easy access. But you may prefer the Bonavita Variable Temperature Gooseneck’s controls, which are on the base, freeing up the handle for comfortable holding as you pour. Your tea kettle’s spout will come into play both as you fill it with water and try to clean up once you’re done. The Cuisinart PerfecTemp Electric Kettle and Aicok Variable Temperature Electric Kettle both feature wide necks to make both of those things easier. However, the Bonavita Variable Temperature Gooseneck has a spout that is designed to make pouring easier. You may find with the Aicok Variable Temperature Electric Kettle, though, that the lid sometimes gets in the way when you’re trying to clean it. For cleanup, it doesn’t get easier than the Hamilton Beach Electric Kettle, which is made to be easily wiped off. Simply add some soapy water, and you’ll have a clean kettle. Chances are, you won’t need to fill your kettle to the top every time. For that reason, many electric kettles have water level indicators that help you see just how much water you’re heating. The Hamilton Beach Electric Kettle puts the water level windows on both sides of the units, which comes in handy for left-handed people who want to keep an eye on how much water they’re using while they’re pouring. How much water you can put in your kettle will come into play as well. The smallest kettle is the 1-liter Bonavita Variable Temperature Gooseneck, which is only good for a few cups of coffee. It might be ideal for that person who only drinks a cup or two at a time. The Cuisinart PerfecTemp Electric Kettle, Aicok Variable Temperature Electric Kettle and Hamilton Beach Electric Kettle are each 1.7 liters in capacity, giving you enough for seven to eight cups per heat up. If you run out, you can always insert more water and warm it up again, though. Once you’ve heated enough water for your first cup, you’ll likely want your water to still be warm when you’re ready for a second round. The Cuisinart PerfecTemp Electric Kettle and Aicok Variable Temperature Electric Kettle both have warming features, so the water in your kettle will still be warm when you go back to it. Safety is important for any household appliance. The Cuisinart PerfecTemp Electric Kettle, Aicok Variable Temperature Electric Kettle, Bonavita Variable Temperature Gooseneck and Hamilton Beach Electric Kettle all shut off when not in use. Looks are important in a kettle. Personal preference comes into play here, but the Cuisinart PerfecTemp Electric Kettle and Aicok Variable Temperature Electric Kettle both feature sleek, classy designs. If you want hot water quickly, power is an important feature. 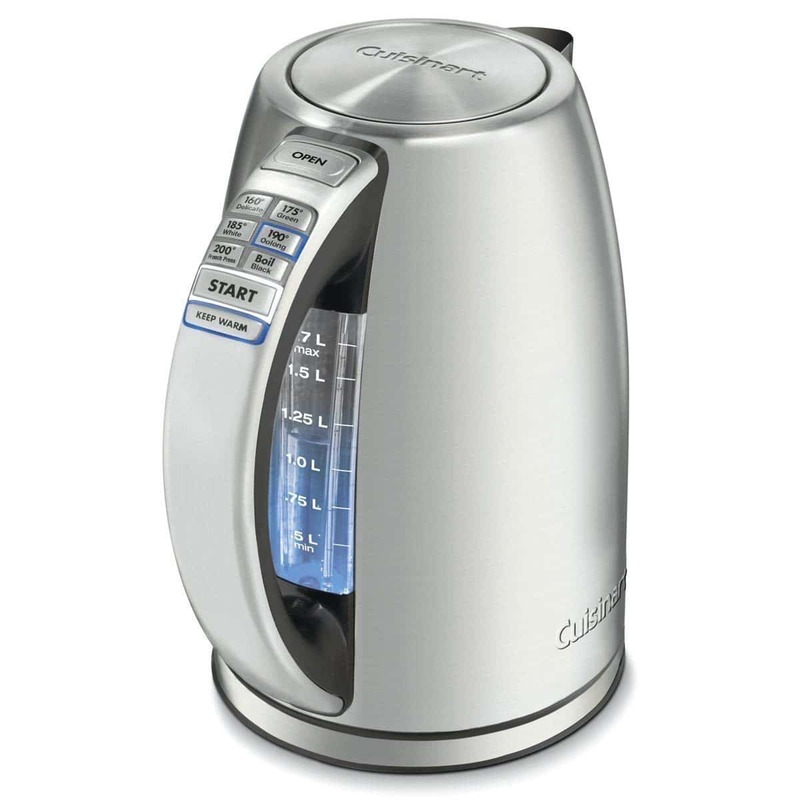 The Cuisinart PerfecTemp Electric Kettle, Aicok Variable Temperature Electric Kettle and the Hamilton Beach Electric Kettle use a 1500-watt heating element to get your water to the desired temperature as quickly as possible. For the Electric Kettle category, we analyzed 43 of the most popular reviews including reviews from Best Reviews Guide, HQ Review, BestReviews, The Architect's Guide, New York Times Wirecutter, Consumer Search and more. The result is a ranking of the best Electric Kettles.